Are You Interested In Poland Temporary Residence Card? The Republic of Poland is located in Central Europe. With more than 38 million inhabitants it is one of the most populated countries in the European Union (EU). Despite the severe humanitarian and financial damages the country had to face during the World War I and II, it has managed to preserve its cultural wealth. Today, it has 14 sites that have been listed as UNESCO World Heritage sites. In last two decades, the country has successfully managed to achieve high Human Development Index (HDI), and today it has the sixth largest economy in the EU. Polish people are friendly and laborious in nature; they are firm believer of cultural values and humanitarian ties. Poland is an immigrant friendly country. It encourages people–especially those who have the capability to create new employment opportunities and contribute in the development of national economy–to settle in the country. 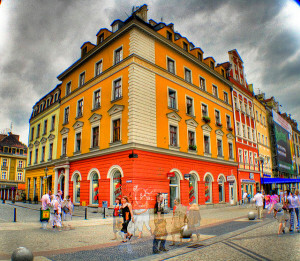 Stay in Poland for less than 3 months doesn’t require any additional permits. All you should have is a current travel document or a visa. But if you want to stay in Poland longer, a temporary residence permit will be needed. New entrants in the country receive residence card. It is a legal document confirming the identity of a foreigner during his stay in the country. Residence Card along with a passport confirms that the holder has a right to stay in the nation. The card allows the holder to cross the Polish borders any number of times, without acquiring another visa. It offers an easy path for the non European nationals. Poland is ideal for both short term visitors and long term visitors. If you wish to live in the country for short term, i.e. wish to acquire Poland Temporary Residence Card, then you may submit a petition with an intention to stay in the country for more than three months. A Temporary Residence Card has a maximum validity of three years. You can file a petition for a permanent residence permit 10 years, post you start residing in the nation. Prior to that, you can live in the country only on the basis of temporary residence permits. You require renewing it not less frequently than every three years. Coming back to the Poland Temporary Residence Card, an application for Temporary Residence Card should be submitted to the consulate at the Republic of Poland in your country of residence. Foreign nationals already living in the nation may apply at the regional office. Courtesy the residence card, you will be given the right to register your residence at a specific address, and you will get the PESEL number. It is essential to carry-out every tax activity in the nation. Applicants, interested to apply for Poland Temporary Residence Permit, should submit the application in person. If an applicant does not fill the application is person, and it is filled on his behalf by an attorney, then in order to collect his finger prints, he will be summoned by the consulate. He will be asked to personally appear in the office within seven days from the date of submitting the application. If under any circumstances, an applicant fails to appear in the office; his petition will not be considered. Four latest color passport size photographs. Four reproductions of application form. On request, you may be asked to present reproductions along with original travel papers. In case of minor, written approval from the parents/guardian for filing a petition for the permit. The applicant should also submit documents confirming the date and duration of travel and confirming the reason of travel along with the residential address in Poland. The processing of application may take one to two months. Summary: Poland Temporary Residence Card is a legal document justifying that your presence in the nation is legal. It is issued to those who wish to stay in the country for more than three months, and is granted for a maximum of three years. I’m finalist at university in accounting!! Thanks for the comment. Poland we don’t do Kalisa. If you are interested for any other country please send us your detailed resume to monika@abhinav.com and we shall guide you.